As the former head of learning and development, and Asia Pacific Japan for SAP Asia Pte Ltd, Shirley Teo has attained extensive knowledge in software sales, new business operations, learning and development functions, and leading and managing matrix teams across the Asia-Pacific region. Headquartered in Walldorf, Germany, with locations in more than 130 countries, SAP is the world leader in enterprise software and software-related services. Throughout the duration of her tenure, Ms. Teo was responsible for driving strategic sales programs to create demand generation activities and build sales pipeline across the Asia-Pacific region. She also focused on big data and cloud line of business applications, as well as analytics as key priorities. 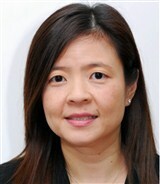 Ms. Teo possesses more than 25 years of experience in the information technology industry. She holds a bachelor’s degree in business computing and information technology from the Queensland University of Technology. An extremely well-educated and well-rounded individual, Ms. Teo is certified in speech communications arts, as well as training speech and drama, through the Julia Gabriel Centre.